The Atkins diet plan glossary explains some of the common terms found on the pages of this site. Atkins Carbohydrate Equilibrium: The amount of net carbs your body needs without gaining or losing weight. Carbohydrates: One of three principal types of nutrients that supply energy to the body in the form of calories. Carbohydrates are neutral compounds composed of carbon, hydrogen and oxygen. Vegetables, fruits, grains, nuts and legumes are all good sources of carbohydrates. Calories: The body's energy expenditure is measured in calories. Consider that 1 lbs of body fat stores 3500 calories. Let's say you want to lose 1 lbs of body fat and you burn 2000 calories/day. To lose one pound of body fat per week you need to eat 500 calories less per day than your body needs. Cholesterol: Only foods of animal origin such as meat, fish, poultry, eggs, cheese and milk contain cholesterol. Plant foods do not contain cholesterol. Although some cholesterol is obtained from these foods, most cholesterol is produced in the liver and other organs. Dieting, weight loss and exercise will reduce elevated cholesterol levels. Essential Oils: "Essential Oils" are essential fatty acids (EFAs) which are vital to keep your body's cells working efficiently. EFAs are not stored as body fat; they are used by the body to maintain cell membrane fluidity and to carry oxygen to the tissues. EFAs are natural fat burners and an important part of the Atkins Diet. You can buy Atkins Diet Essential Oils as convenient soft gel capsules to increase your metabolic rate and fat burn-off. Induction: The Atkins Diet is set up in four phases. The initial 14-day phase is the "induction" period. During this important phase your body switches from a carbohydrate-burning to a fat-burning metabolism. You must limit your carbohydrate intake to 20 grams per day to trigger ketosis. Ketosis: The process through which your body converts stored fat into energy. The process starts when your body is deprived of energy normally obtained from glucose and carbohydrates. Prolonged ketosis can lead to damage of the liver and kidneys. Lifetime Maintenance: This final stage of the Atkins Diet is designed to help you maintain your weight for the rest of your life. You have worked hard to lose all these pounds. Keeping them off for life means staying within your ACE (Akins Carbohydrate Equilibrium) to keep them off for good. Metabolism: The body's metabolism transforms foods through a series of chemical changes into basic elements which are utilized by the body or eliminated as waste. Ongoing Weight Loss: Phase 2 of the Atkins Diet program. After you have completed the induction phase you increase the carbohydrate intake gradually. 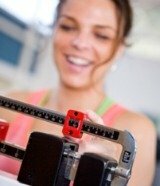 You will have to increase your carb intake to the point where weight loss slows down. Once you reach your target weight you go to the next phase - pre-maintenance. Polyunsaturated Fat: Polyunsaturated fat is found in plants such as corn, cottonseeds, safflower, soybeans and sunflower seeds. Polyunsaturated fats tend to lower blood cholesterol levels. Pre-Maintenance: Once you are down to no more than 10 lbs of weight to be lost, you go on the 3rd phase of the Atkins Diet program. This phase focuses on creating a lifetime eating program. Carbohydrate intake is again increased gradually. If no weight gain is noticed after one month you move on to Lifetime Maintenance. Proteins: A group of complex organic macromolecules that contain carbon, hydrogen, oxygen and nitrogen. Proteins provide the body with energy and heat. They are essential in the diet of humans and animals for the growth and repair of tissue. Proteins are found in foods such as meat, fish, eggs, milk, and legumes.